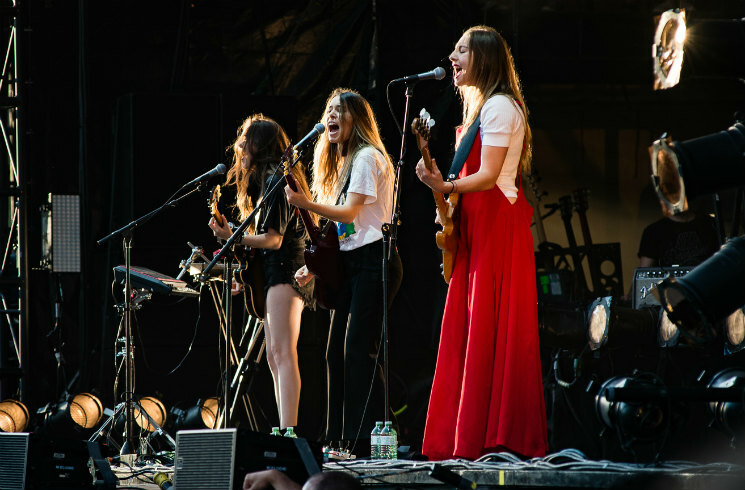 HAIM have announced a new string of North American tour dates. Dubbed the "Sister Sister Sister Tour," the latest round of shows will see the sister trio continuing to support last year's Something to Tell You LP. The tour officially kicks off in Portland on April 3, and it will wind its way up to Canada for a single date in Toronto on May 7 at Massey Hall. The full run of dates wraps up in Morrison, CO, on May 28. Minneapolis hip-hop rising star Lizzo is listed as support for the upcoming shows. Tickets go on sale January 26 at 10 a.m. local time. See HAIM's hilarious video announcement of the new dates below, followed by the band's full itinerary.